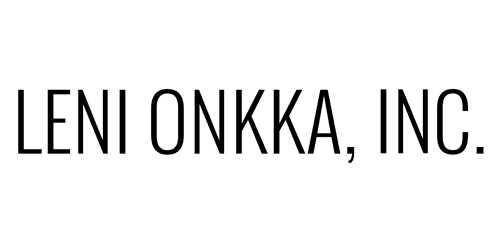 The CoRe System™ - Leni Onkka, LLC. The CoRe System™ offers complex, yet simple energetic balancing. During times of growth, we might experience “growing pains” felt in many forms. Sometimes, in fear of having to face these issues, we keep ourselves stuck in situations that no longer serve our highest good. With informational balancing the CoRe System will send you corrective energetic frequencies from special Biofeedback generator. ***The CoRe System™ device is not a diagnosis or medical treatment device. It’s an instrument which supports spiritual transformation. The system is based on the principles of quantum physics using a complex statistical analysis of over one hundred thousand patterns of stress sources. The evaluation and energetic balancing, applies a method of sound and electromagnetism that views the world as holographic; meaning that each part contains information about all of the other parts will work with your energetic, informational system to bring gentle balance. The system works with the mathematical matrix representations of different parts of the energy field. By “pinging” the representative “informational signature” of the individual, energetic biofeedback selects complex models to establish the issue and sends an energetic correction. The evaluation and balancing performed provides feedback that you may or may not feel. For more information, please refer to Princeton’s PEAR study. CoRe Custom Balancing is a personalized program designed around your specific needs and intentions. - Please send me up to 6 intentions. - I will place your intentions into the CoRe Program. - The initial session that takes about 2-3 hours. - You will be set up for 30 days to receive energetic balancing 3 times a day for 9 minutes for 30 days of ongoing support! This work is done in ABSENTIA. You will not be present, you will not be called, other than to receive email notification that your session will begin that particular day and, to remind you that your session is complete at the end of the month. You can select 1 month, 3 month or 6 month programs. For the 3- and 6-month programs, you will email me any adjustments to your intentions at the beginning of the month. I will provide a form so you can send me up to 6 intentions surrounding the aspect of your life where you intend to create transformation. I will place your intentions into the CoRe System™ and go through the initial session that takes about 2-3 hours. You will be set up to receive informational balancing 3 times a day for 15 minutes for the duration of your program. I will place your intentions into the CoRe System™ and go through the initial session that takes about 2-3 hours. You will be set up for 30 days to receive informational balancing 3 times a day for 15 minutes providing 30 days of ongoing support! Do you ever wonder what the core energetic biofeedback system says about you?